There is a period of time between Christmas day and a little after New Year’s Day that becomes a little bit murky. We don’t know what day of the week it is or what we’re supposed to be doing, writes The Block TV personality and Co-founder of Cedar and Suede, Carlene Duffy. It’s a strange time and I don’t know whether I like it or not. But if we haven’t gone on holidays, then it’s a time where we’re idle in our home more than in any other time of the year. 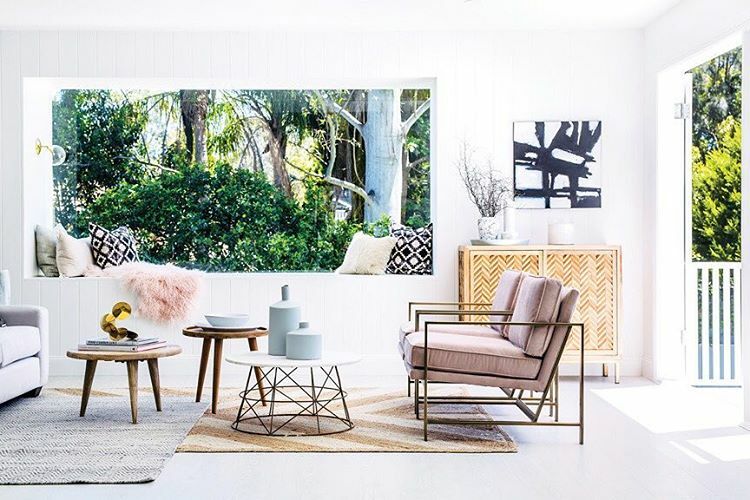 For this reason, it is a good time to critically assess your home, both in terms of aesthetics and functionality – and here are some tips on how to do just that, and some easy home improvement ideas to refresh your home this year. Work from the inside out. Making your home the best that it can be often means moving things around for your own purposes and not just to please your guests - I’m talking about organising all your cupboards. 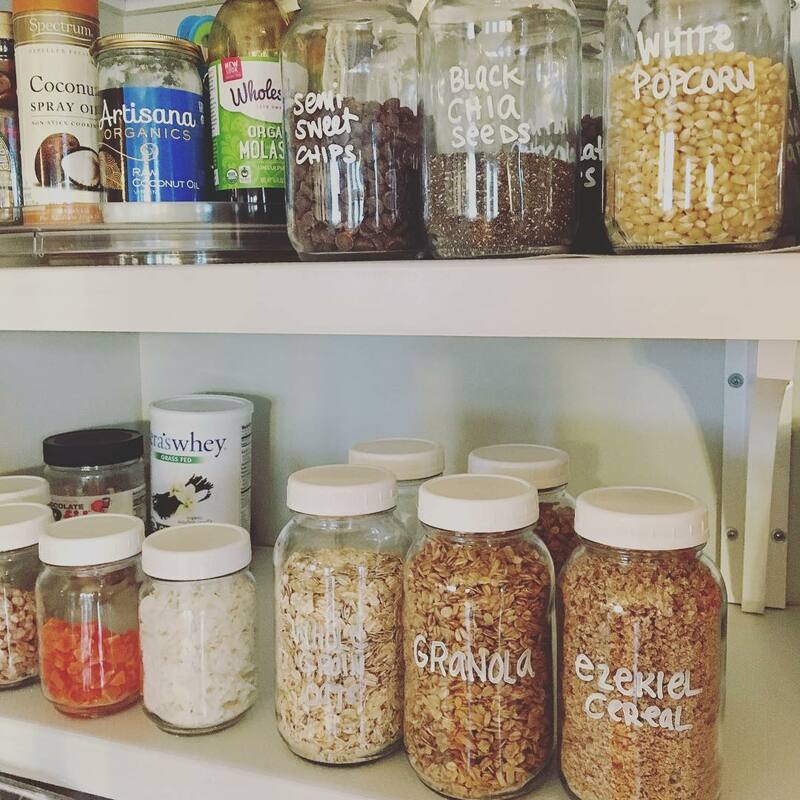 One of my New Year’s resolutions is to clean out and organise my pantry so that it better works for me. At the moment it has little order and every time I open it I have to sift for my desired item. I’m finding the job too daunting to even start but I’ve set a date to make it happen. It’s in my diary which means I’ll be held accountable to myself if I don’t do it. While I experience an unhealthy thrill from decluttering and culling, I can appreciate that others feel the direct opposite and can take a little bit of convincing to part with items that they may have been hoarding in the home. There is a tool of measurement to use when culling items - if it isn’t either beautiful, functional or sentimental then it should be trashed or donated. The culling process helps make way for a more streamlined way of living and reduces clutter in our homes that can easily cramp our style. I’m a ruthless culler so this is something I do throughout the year but I think the new year marks an ideal excuse to declutter your home. You’ve heard the theory; a clear home is a clear mind. I so frequently walk into homes and am pained by the idea of how improved the space could be with the simple task of a coat of paint. I get it, no one likes painting - while during the year, when our lives are on a continuous cycle of busy-ness, the idea of painting is too much to bear. But the new year marks an ideal time to knuckle down and do the job in return for years of enjoyment. If a resale is in your sights, play it safe with a crisp white throughout. 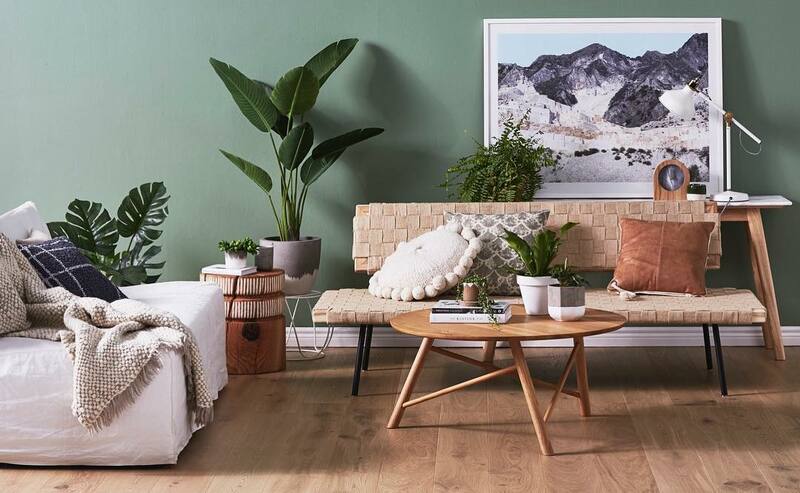 But if you’re like me and get bored brainless by too much neutral or simply could benefit from a splash of colour in your life, start your interiors magazine clipping collection and engage a colour consultant to help you commit and paint with confidence. It’s summer time and the days are gloriously long. Whilst it’s far too hot to be outside for long periods during the day, there is time between 4pm and 7pm that makes being outside pure bliss. 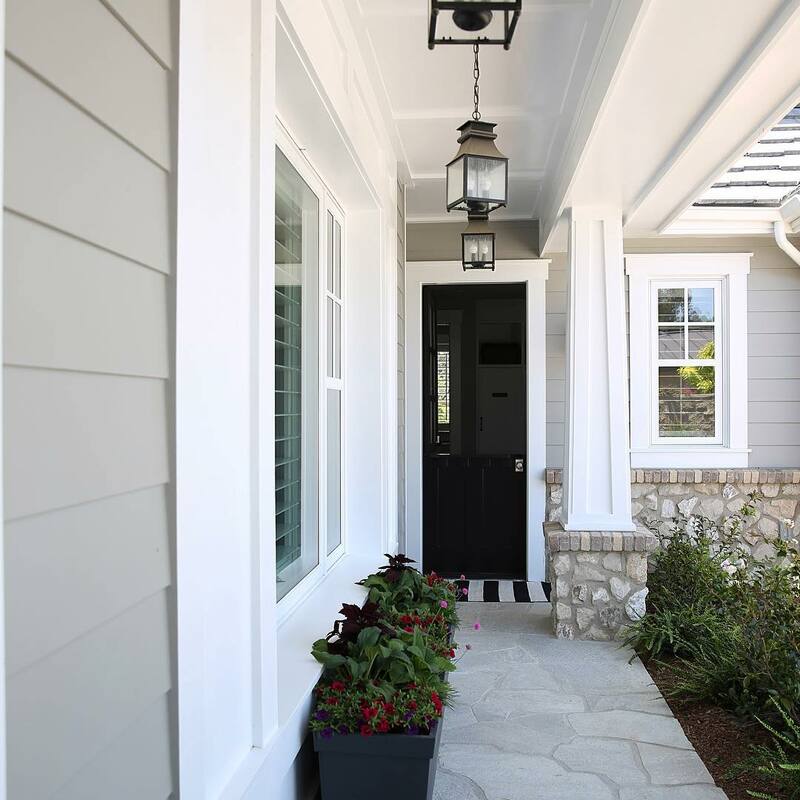 Go out to the front of your home and soak up the atmosphere and while you’re out there have a good look at how your front façade might be improved. Street appeal is a big deal not only for resale purposes but for your own satisfaction and enjoyment. We’re mid-renovation, so our own façade is far from how we want it - but simply blowing the huge downfall of leaves off the driveway always makes me feel so much better when I drive up to the house. Consider that your front yard might benefit from some landscaping with a new path or some better thought out gardens. First impressions count for both you, your visitors and potential buyers. When we live with something for long enough we tend to stop noticing how bad it is. This is the case with my laundry (and you could hardly call it a laundry) but that’s a story for another day. Many of us live in older homes with big plans to renovate when the funds allow. 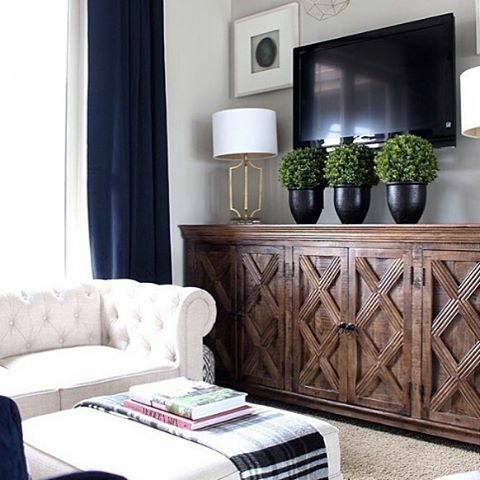 However, you don’t need to update entire rooms to make your space feel better. Start small and swap out things like old and poor functioning ceiling fans and light switches, update tarnished door and cabinet handles, and replace the window furnishings. These aren’t big jobs and don’t have to come at a big cost but they can have a big impact and can usually help you live in your home more comfortably until renovation day arrives. I’m always surprised by how many homeowners have art tucked away in boxes that they haven’t got around to framing and hanging for no other reason other than they haven’t got around to it. If only we had an endless supply of time, hey? When I receive a new piece of artwork, I make contact with my framer that day so that it doesn’t end up filed away and never enjoyed. The same applies to good family photos. 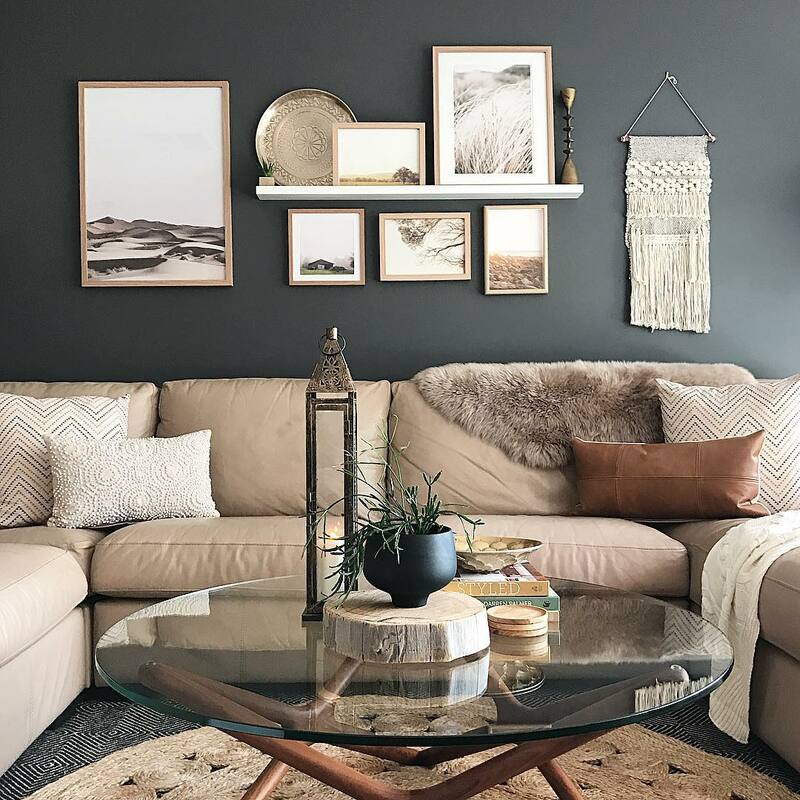 At interior consults, I am told by my clients all the time that they’d love a photo gallery wall somewhere in their home. This is definitely one for the new year’s list. Grab all of your cherished art pieces (and it doesn’t have to be expensive art, it can be maps, cherished sketches by family members etc.) and either grab some off the shelf frames from a department store or speak to a trusted framer. It allows you to fill blank walls and to see and enjoy your interior artwork every day. Write a list to hold yourself accountable and work on one goal at a time so that you don’t overwhelm yourself into idleness. Keep the end goal in mind. This is about creating a more comfortable home, one that you enjoy coming home to. Learn more about a career in Interior Design here. Is best known as one half of Michael and Carlene Duffy; the down to earth Gold Coast couple who shared their highs and lows with Australia on 9’s series The Block ‘Glasshouse’. The dynamic duo also featured in Renovation Rumble, and have together established their business ‘Cedar & Suede’ a blog and e-design business that combine the couples’ passion, experience, and creativity to provide services in renovation, and interior design.